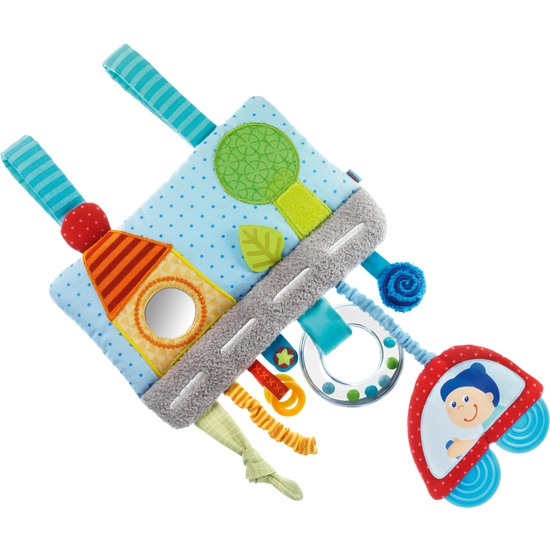 The bright, jolly playwrap offers plenty of stimulating sounds and textures that are sure to entertain babies, wherever they are. Easily attaches to car seats and cribs to offer endless entertainment. The squeaker sewn into the little car lets baby weave through traffic, just like mommy and daddy.